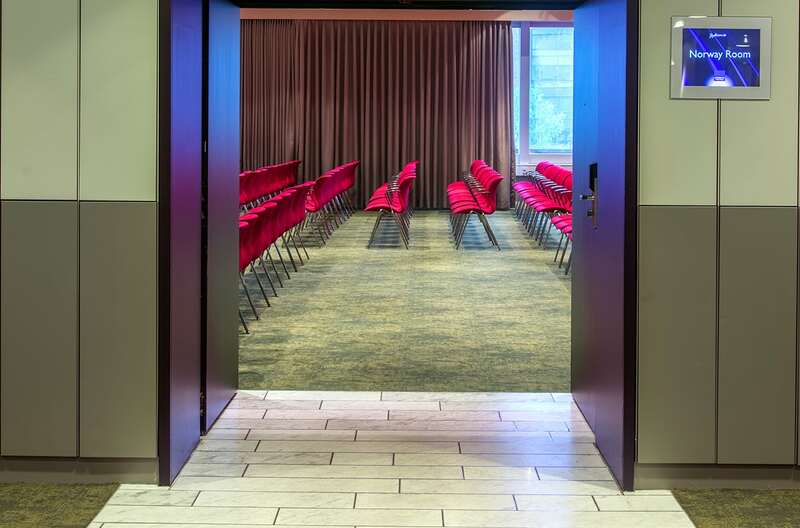 The most crucial element in the renovation of the conference facilities at Radisson Blu Scandinavia Hotel in Copenhagen was the TWIST design carpets. 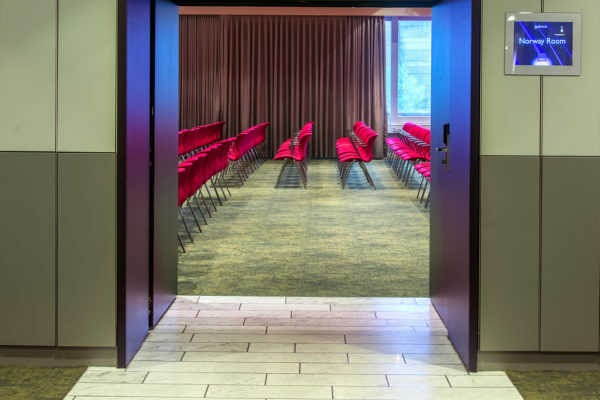 The most crucial element in the renovation of the conference facilities at the Radisson Blu Scandinavia Hotel in Copenhagen is the carpet. The architect fell in love with TWIST – Dansk Wilton’s new carpet quality that opens up new design opportunities. The starting point for the renovation of Radisson Blu Scandinavia Hotel Copenhagen was to bring the facilities to a contemporary level, with an updated idiom and a design expression that is more emotional and more appealing for the target group. The job consisted of creating a more impressive atmosphere with a classical and contemporary feel at a very modest budget. 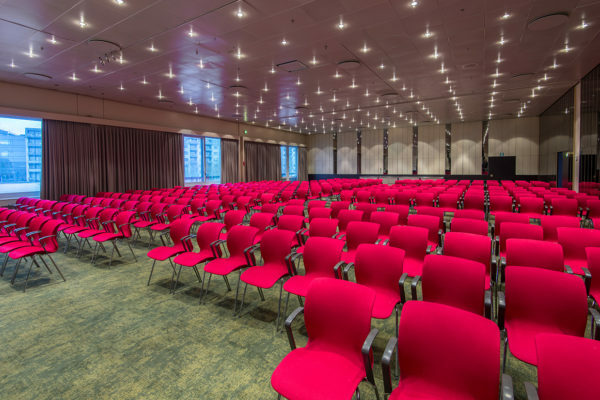 The renovation of Radisson Blu Scandinavia Hotel Copenhagen involved large rooms, where the biggest continuous surface is the floor. The floor was thus the largest and most impacting parameter to work with. This applied both in relation to design and expression, and not least in relation to the selection of material. ”Timelessness is quite essential. The carpet has a great impact and a strong presence in the room, however, it should not ‘overwhelm’. You also need to take a long-term approach in relation to quality. It is too expensive in the end to install a carpet that cannot handle hard, daily use, both in terms of durability and style”, says Bronwynn Welsh. 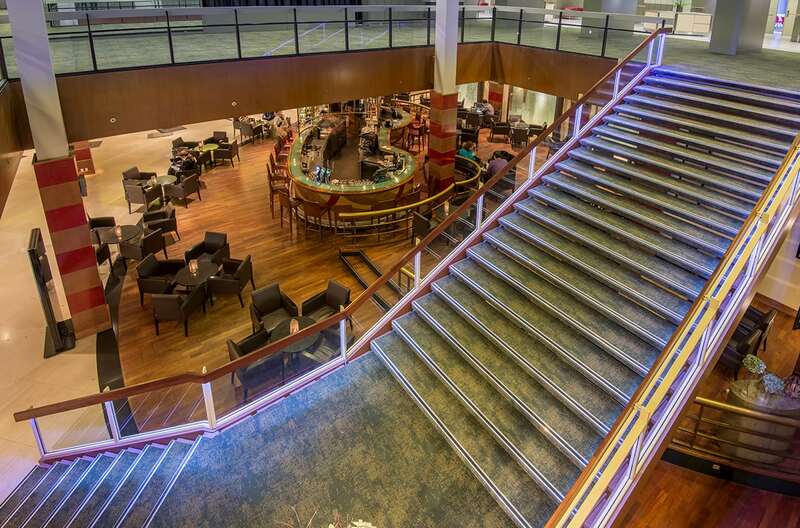 Carpets are crucial for the atmosphere and the feeling of wellbeing that a soft floor creates. TWIST is a new carpet innovation from DANSK WILTON opening up new design options. 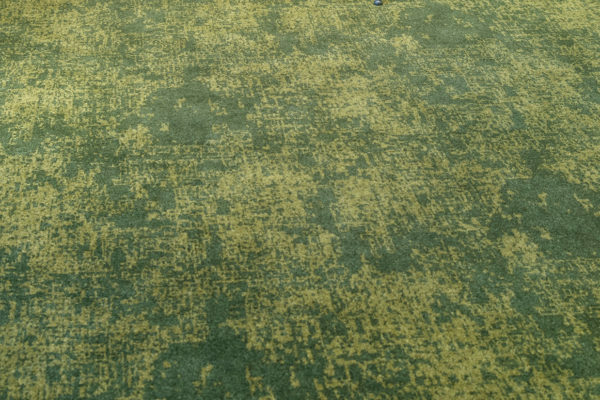 The combination of hard twisted yarn and normal velvet yarn creates an extraordinary surface and expression offering a luxurious and unique carpet solution.